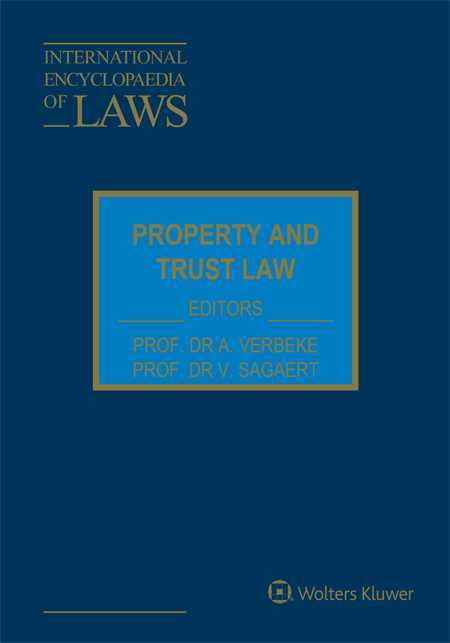 The Property and Trust Law volume of the International Encyclopaedia of Laws series deals with the diversity of rights and interests in all kinds of property and assets. Because property law has developed along completely different lines in the diverse legal families, this practical country-by-country analysis and guide takes a functional approach to the subject matter. The perception that legal solutions, concepts, terms and mechanisms vary, and may even seem at some points to be diametrically opposed, should not conceal the fact that such solutions are often functionally equivalent, in spite of their technical or conceptual differences. This work primarily contains national monographs, based on a standard outline. Due to the tremendous differences in concepts and terminology used in different parts of the world, authors may adapt the structure of their texts to the specific and concrete aspects of their own systems. In addition to national monographs, this work will also focus on international treaties and conventions related to property and trust law.